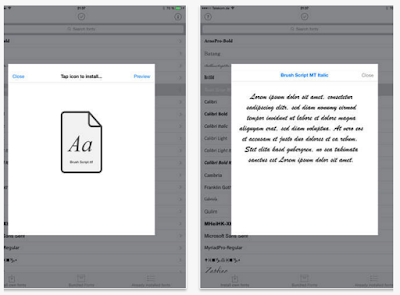 AnyFont is a good application that lets you install more fonts to your iPad or other iOS devices. Once installed, AnyFont provides you access to a variety of fonts that you can use on apps such as: Keynote, Numbers, Pages, Word, Excel, PowerPoint for iPad and many more. 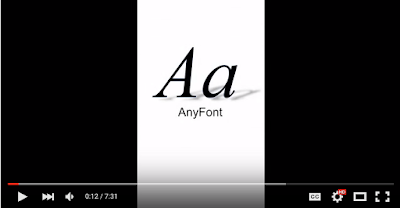 As you will see in the video tutorial at the end of this post, AnyFont is very simple and easy to use and provides a number of interesting features. All fonts added by AnyFont come in three main formats: TrueTypeFont- (.ttf), OpenTypeFont- (.otf) or TrueType Collection- (.ttc). Next time you are working on a Keynote presentation or writing a document in Pages and need more font options than is available in your iOS device, AnyFont is definitely a perfect solution. Here is a quick overview of some of its main features: Add single fonts or multiple fonts as a ZIP- or TTC-file; Install single fonts or multiple fonts at once; Preview your fonts in AnyFont’s storage; Optional bundle of 1,000+ fonts (In-App Purchase); Complete list of all installed fonts on the device; Support for 3D Touch.